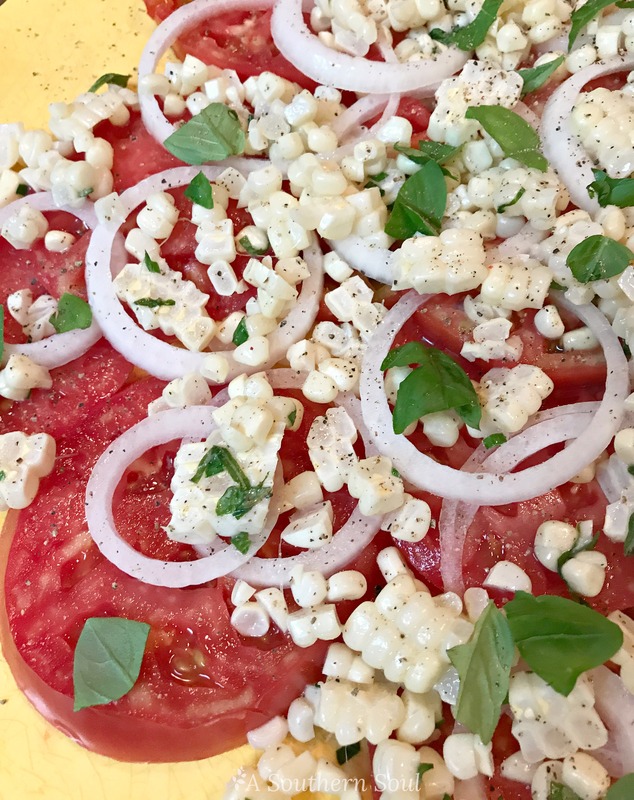 Tomatoes, Valdia onions, sweet corn and basil drizzled with a bright lemony dressing are combined to make the BEST summer salad ever! 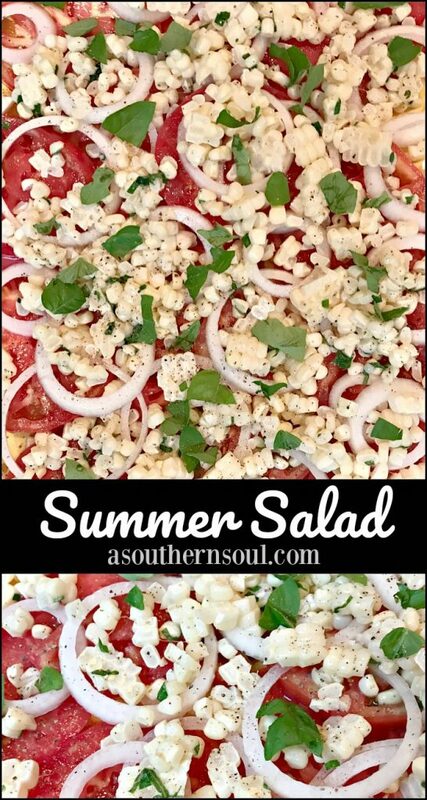 Personally, I don’t think this is an overstatement, especially since I eat some version of this salad about everyday during the summer months. 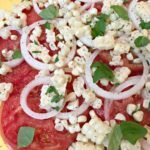 Fresh vegetables from the farmers market make it effortless to pull this delightful salad together. For me, there is nothing quite like a summer tomato. Actually, I’m quite a snob when it comes to tomatoes, which means, during the winter months, I’m not touching one. It’s got to be garden fresh and my favorite variety…wait for it, is German Johnson. I love the deep pink color, tender skins and rich flavor. I’m also crazy over Vidalia onions, so of course, I had to add them to this dish. The crowning glory of my summer salad is fresh corn. This variety is called “triple sweet” and the flavor confirms that. There is absolutely no need to cook the kernels. Just cut them right off the cob and sprinkle it on the salad. One piece of advice, try not to eat all the corn before you put it on the salad…just saying. 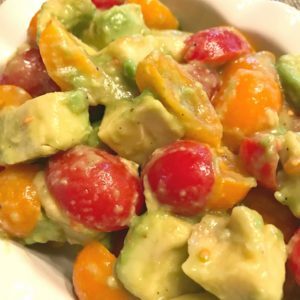 To finish up your masterpiece, just blend up a light, lemony dressing, sprinkle on some salt and pepper, toss on your torn basil and you are ready to enjoy. 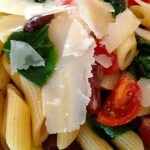 This is what summer’s all about ~ fresh, beautiful food, simply made. 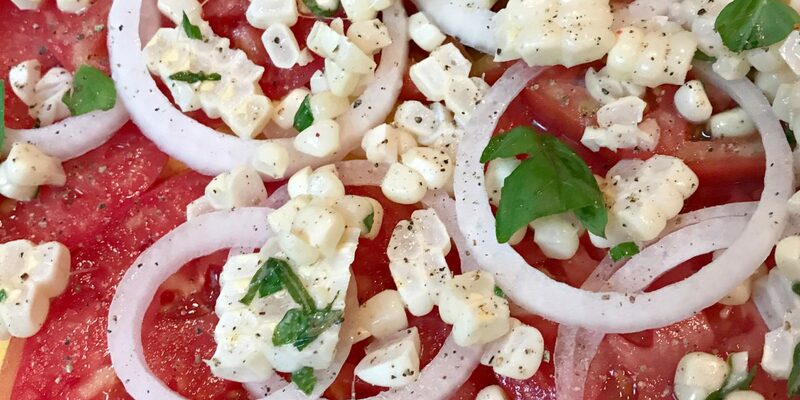 Fresh tomatoes, corn, and onions drizzled with a bright lemon dresssing and basil make the BEST summer salad ever! 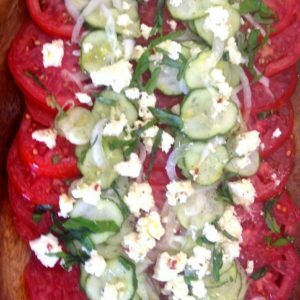 Slice tomatoes and place on platter. 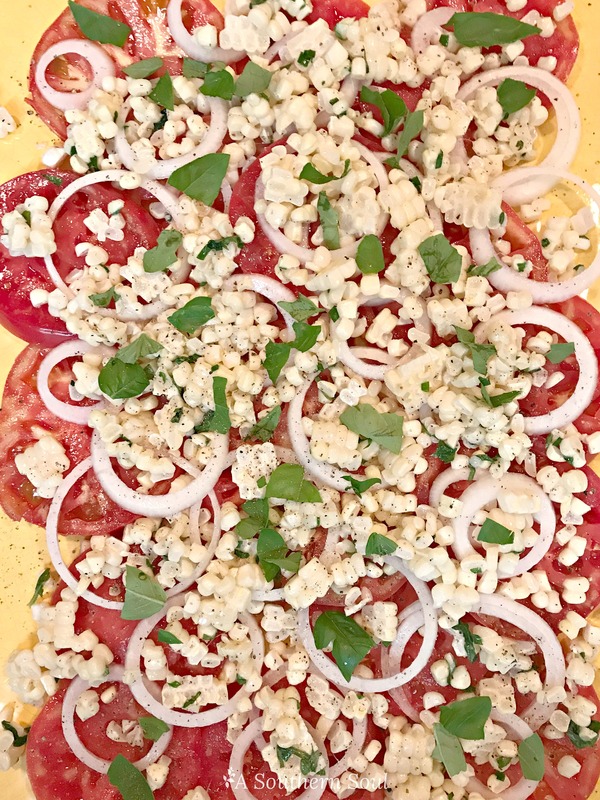 Slice onions, separate into rings and place on top of tomatoes. 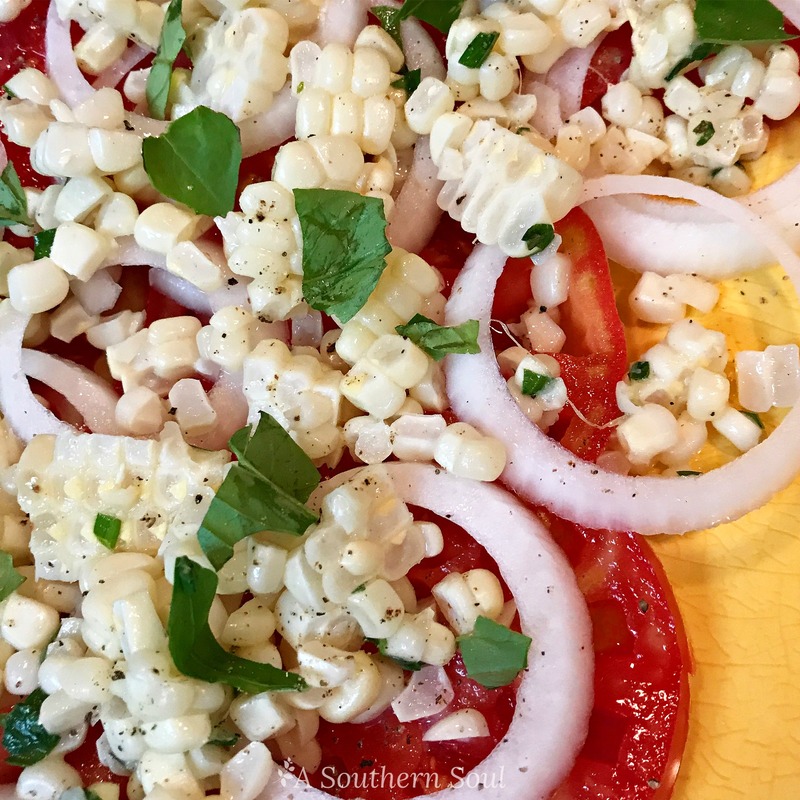 Cut corn off cob and sprinkle over tomatoes and onions. Tear basil into small pieces and place on top of corn. In a small bowl or jar, combine lemon juice, olive oil, salt and pepper. Mix together. Pour dressing over salad. Sprinkle with additional salt and pepper. Serve immediately.